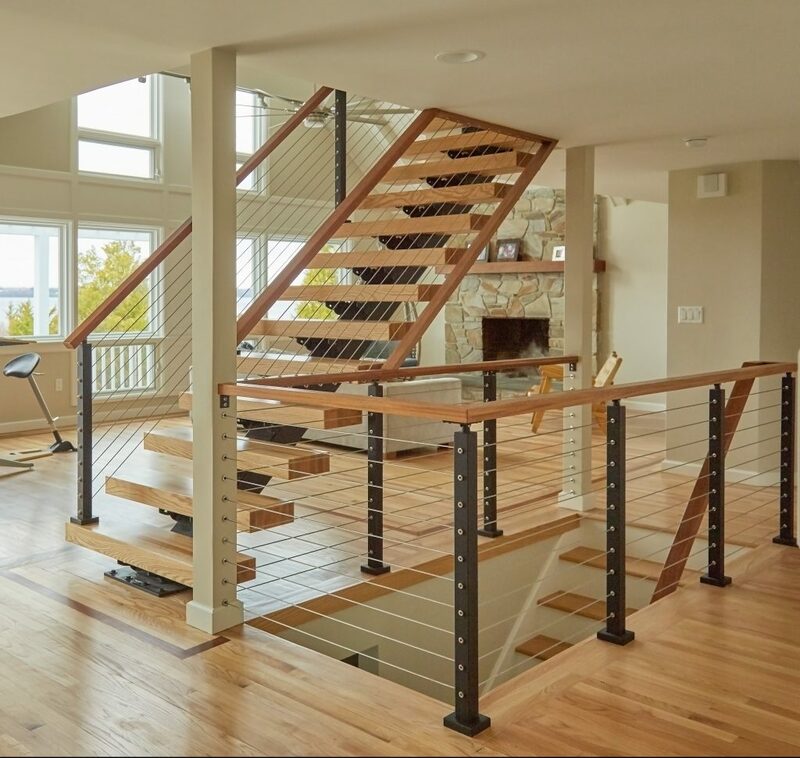 Designed specifically for a unique space, this Viewrail FLIGHT project elegantly compliments the clean, clear aesthetic of this modern home. 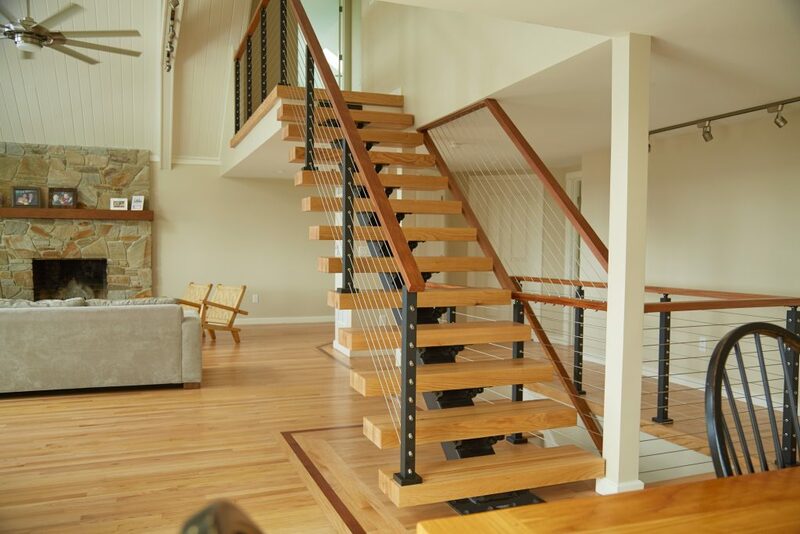 The railing is actually mounted to the ceiling, creating that beautiful look of mid-air suspension. 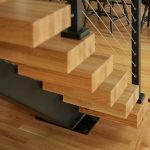 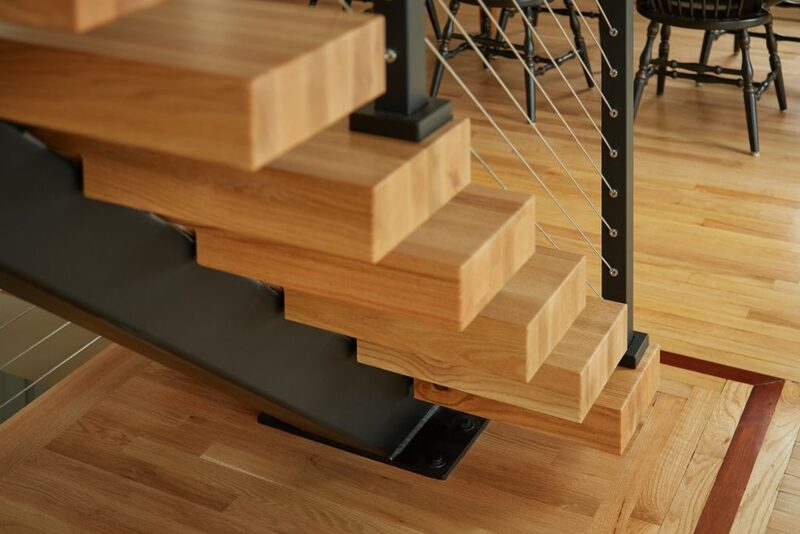 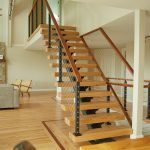 Thick stair treads allow light from nearby windows to shine through. 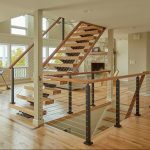 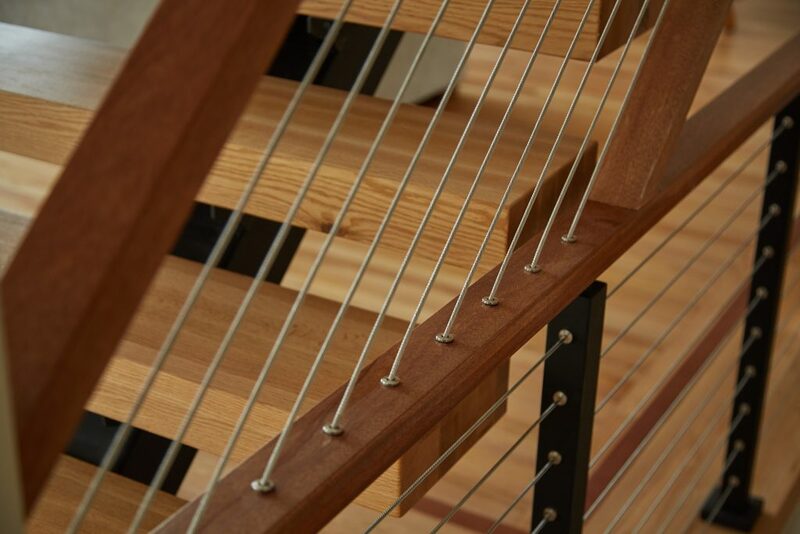 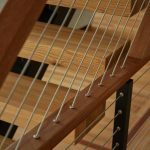 Nearly nonexistent, thin lines of cable railing surround the two staircases, creating a safe and striking enclosure. 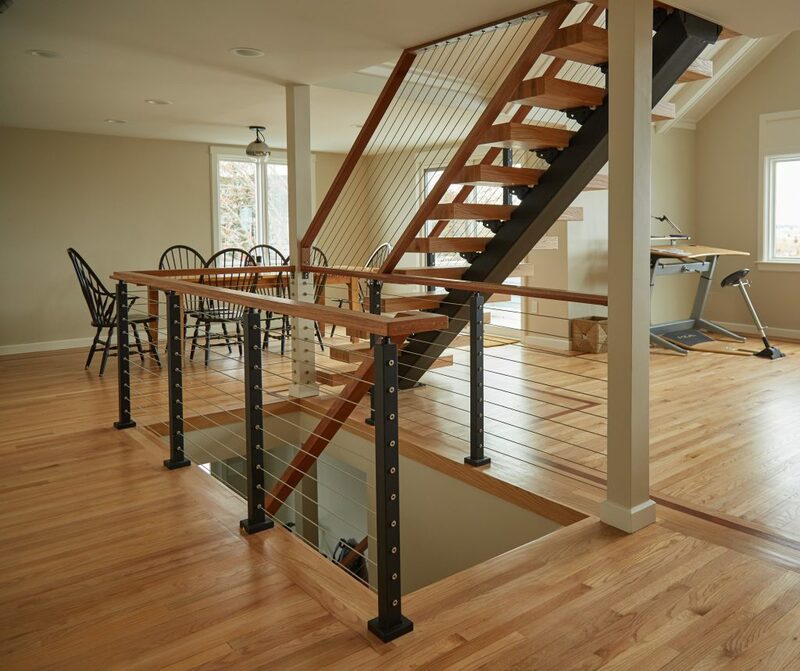 Together, the look is minimal, effortless, and space efficient.